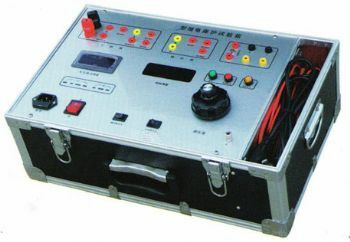 SFJ018 relay protection test cabinet uses double carbon brushes regulator, big buttons for regulating AC/DC voltage, current under large loading, small buttons for regulating AC/DC voltage, current under small loading,. The two output channels could work simultaneously. It also take use of digital meters of Grade 0.5, sensor of high accuracy, six digital display stop watch, satisfying requirements for time measurement. 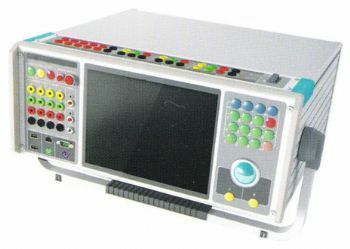 With built-in microcomputer, the instrument could be used separately from the laptop . Intelligent photoelectric rotation mouse, large screen LED LCD display, could be connected to laptop. All PC soft wares are WINDOWS soft wares, with powerful test capabilities and perfect test report processing functions . Could arbitrarily stack harmonic waves, stack initial angle and content online controllable. The instrument realizes automatic test flow rate, volume, sealing and pressure release valve open, pressure close for gas relay. Test result could be automatically printed. The full automatic instrument takes advantage of advanced principle, uses microcomputer measurement and control. With digital display. The test personnel only need to labor in oil return. All measurement, parameter setting, control and print are automatically operated. There two models of instrument: with and without release valve test. 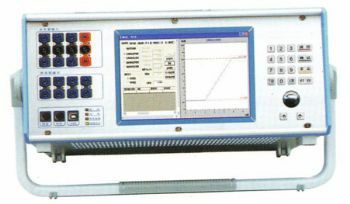 The instrument uses independent gas source and microcomputer measurement. 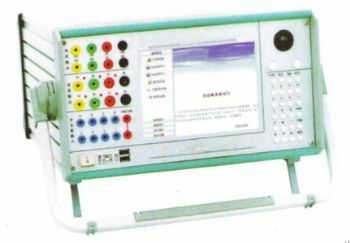 With computer monitoring and control box, sensors, solenoid valve, digital display, microprinter, mini electric air compressor and level gauge, the instrument gets electromechanical integration. On basis of the original products, a set of automated test device for gas volume measurement is added to this instrument, error ≤5%. This allows to test for Volume scale plate of the gas replay. The instrument cold conduct test of heavy gas flow rate, light gas volume and sealing performance. Test result could be automatically recorded and printed.